Do you want to wake up and say "Good Morning World!". Feeling great and ready to take on the day? You can feel great every day, change your habits and become the person you truly want to be. Change who you are by releasing whatever is holding you back. Freeing trapped emotional energy can help change your perspective, so you move easily and effortlessly into a more fulfilling life. We select our clients - we don't see everyone. To find out whether our way of working is a good fit for you, please book a free Clarity Call, by using the button to the right. Or send an email with your contact details, so we can arrange to speak. If you have issues with your home, or place of business, or are trying to sell a property, we offer property / land rebalancing and clearing service. Profound change most often takes place at the other-than-conscious level of the mind. 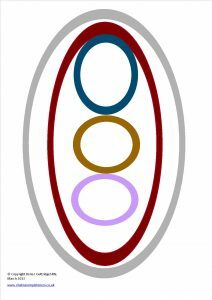 Hypnosis, NLP, Energy spinning, the Emotion Code, Superconnect 1 and 2 (a dowsing-based system), The 5 Awakenings (for trauma), Reiki or EFT. Get in touch to discover whether our way of working is a good fit for your needs.